My followers may know that many days I take to Twitter to share national, state, and local news stories of relevance to technology use in schools and for learning. Over time, the volume of stories focused on school-related issues of data privacy and security have increased, which is only to be expected as the sector is increasingly relying on technology for its core operations. It is inevitable that the education sector will experience data breaches and be subject to cyberattacks intended to enrich (or otherwise benefit) attackers, hurt/embarrass school officials or other members of the school community, or protest school/government policies and practices. These acts may be undertaken by those connected to the school (such as administrators, teachers, or students) or by actors with no relation to the school at all (e.g., by hackers canvassing the internet for software vulnerabilities). One recent attack has become so widespread and so damaging that the Internal Revenue Service itself has issued public guidance for schools and other institutions that have become its target (see “Dangerous W-2 Phishing Scam Evolving; Targeting Schools, Restaurants, Hospitals, Tribal Groups and Others“). NOTE: List of affected school districts last updated 3/22/17 (8:30 AM). List will be updated as research continues. If you are aware of other school districts victimized by this attack not already on this list, please contact me. Thanks to Dissent Doe (@PogoWasRight) of https://www.databreaches.net/ for help in identifying affected school districts. This cyberattack – affecting tens of thousands of school employees – may represent the single most widespread and serious threat to school district data systems we have seen to date – and certainly raises questions about the state of school information security practices. Indeed, evidence already suggests widespread lax school IT security practices thanks to systematic investigations, such as those conducted in Missouri and Wyoming. Please share this information widely. 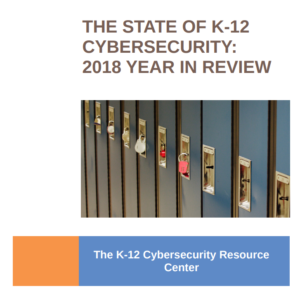 There remains much work to be done to educate government, school leaders, and educational technology vendors about how to mitigate the risks of IT systems that manage personal data of school employees, students, and their families. Unfortunately, it may have to get worse before it can get better. ** New articles regarding K-12 school districts affected by phishing attack (i.e., updated since this blog was originally posted).